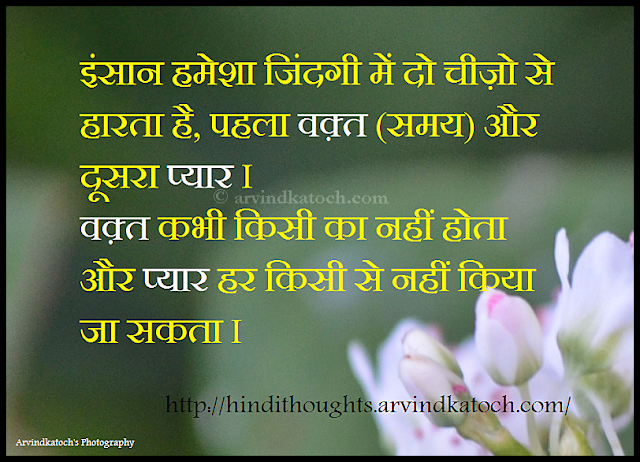 Love is the soul of human life and there can't exist anything in this world without love. 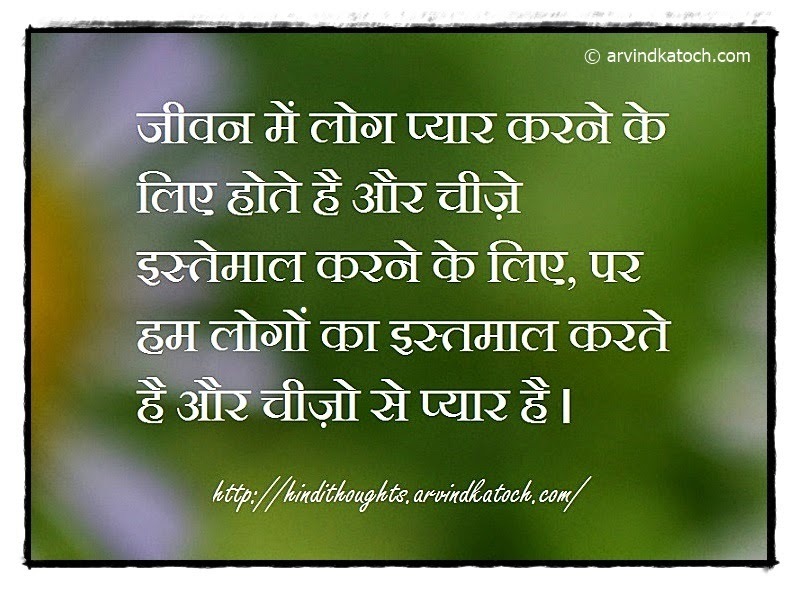 This is the love which is supporting our world and we can find the whole creation of life in love. 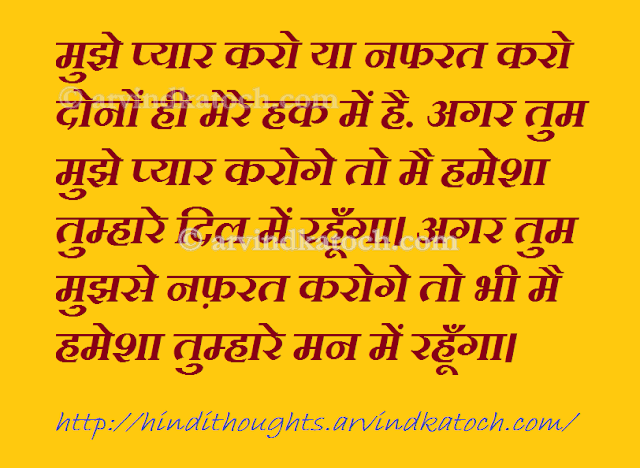 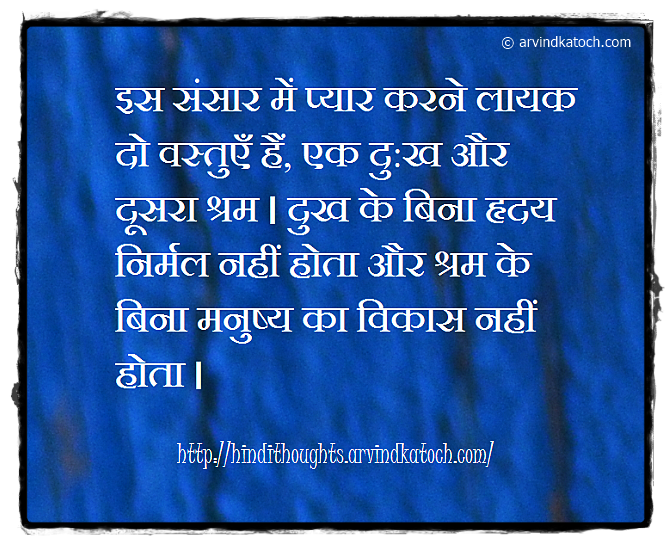 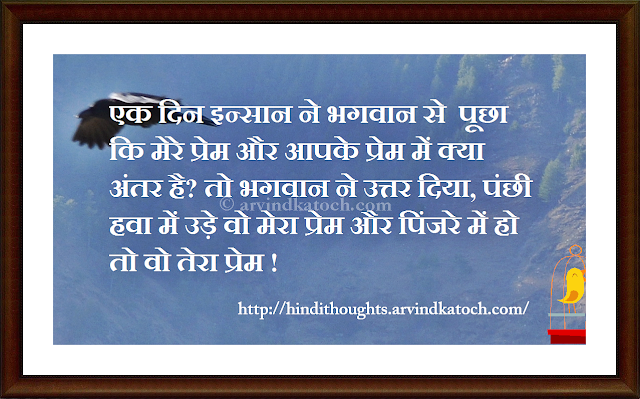 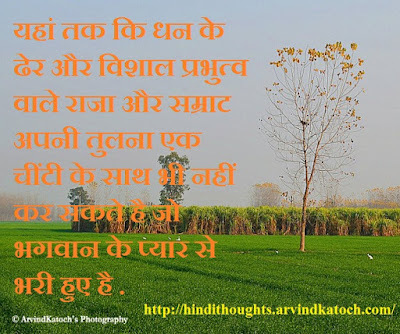 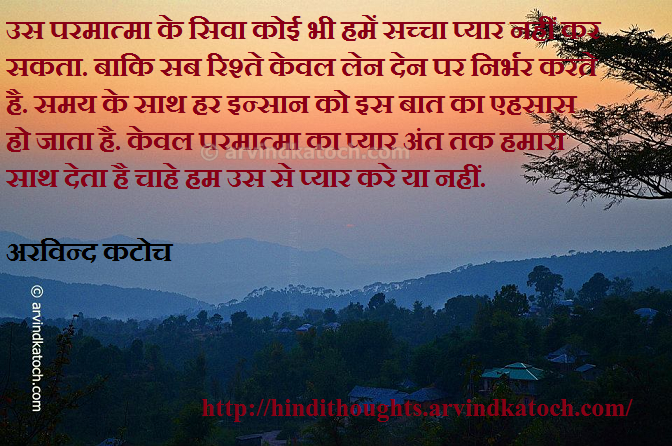 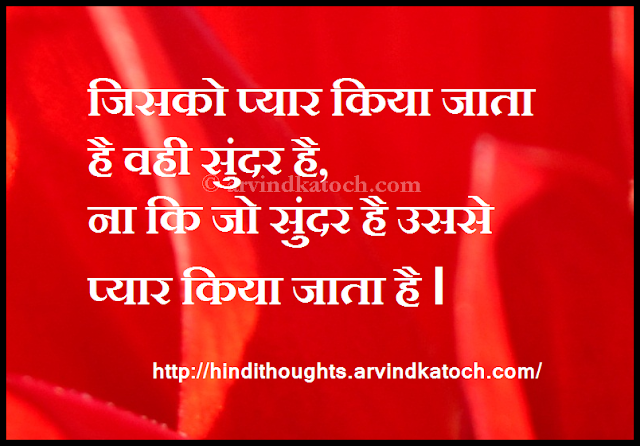 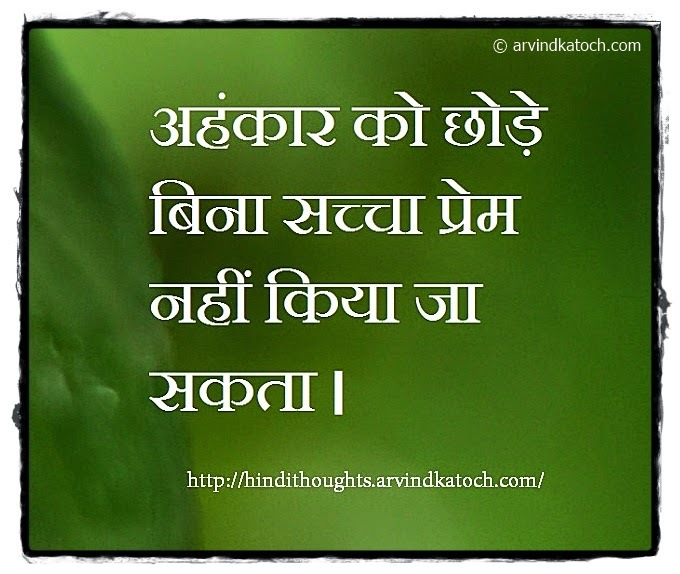 Below, I am sharing some of beautiful Hindi Thoughts Picture messages love. 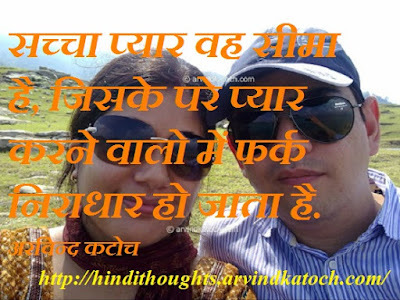 We can learn the importance and power of love with the help of these messages. 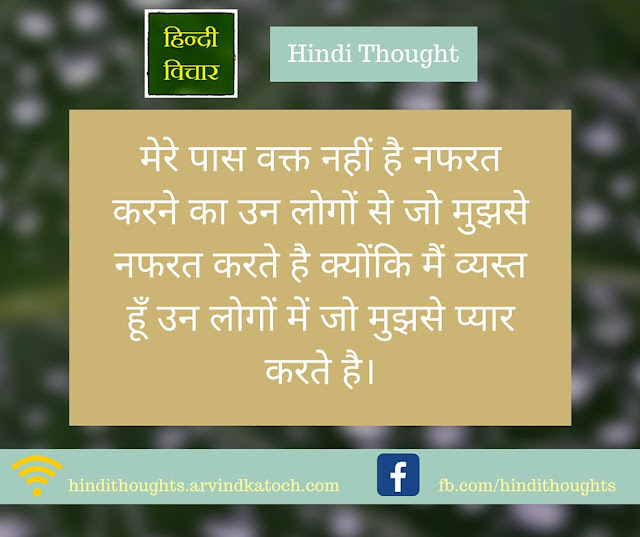 These Hindi Thoughts (Suvichar) on Love show us many meanings of love and how one should indulge in selfless love. 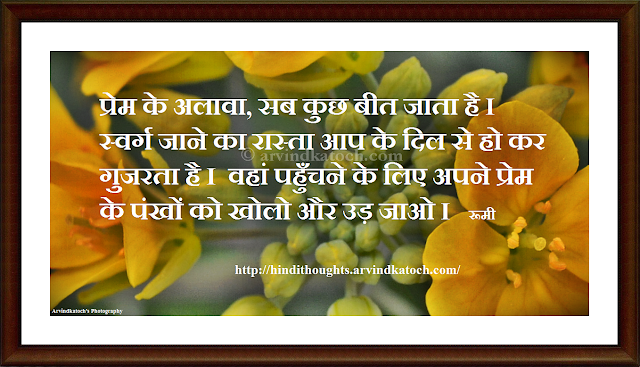 What is Difference between Man's Love and God's Love?